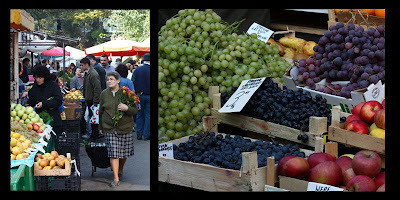 Here's an image I shoot in a Romanian farmer's market. In fact is the farmer's market that's taking place every day in my neighborhood. In every city/town there are several like this one. People come here, expose their merchandise..and negotiate for the whole day. They sell everything from tasty and healthy food to flowers and all sort of small gadgets.. you know, like in a real farmer's market. Romania is one of the few countries I know that runs these kind of markets every day of the week. And I am glad I can buy healthy, organic food at a decent price..
..whenever I want. The downside of the Romanian "new society" is that I/we don't care so much about healthy food. Or at least I think so because everybody is buying the nice looking, not so healthy food from the supermarkets. 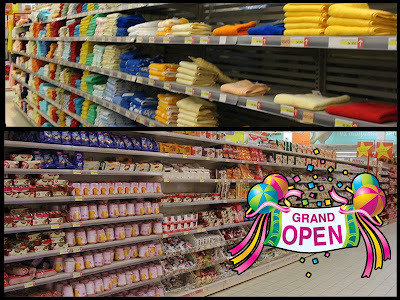 If you want to go in a supermarket to buy just a six-pack and some snacks in a Saturday afternoon or in any other evening, you will end up spending whole 2 hours "running" in the supermarket to get your products and pay them. It is so crowded that you feel like being in a car jam on the highway.. The supermarket and the fast-food trend is very successful these days. Or at least I think so. The great advantage we have compared with other countries is that we still have alternatives.. farmer's markets.